A sneak peak of the 2010 Bianchi Pista Via Brera has been leaked! Beautiful neo-retro styling combined with the rumor of SRAM Torpedo rear hub has me really excited for the launch of these bikes. Keep an eye on our Bianchi Complete Bike page for all of the 2010 models later on in the year. OMG, we have created a monster! Another devoted Surly convert! Surly's website has had quite a few hits from my IP addresss, that's for sure. forget the long haul trucker, go with the raleigh sojourn. comes stock with a brooks saddle and tape, disc brakes, rear rack, wide handlebars, all for about the same price as the lht. i was determined to own a lht for a long time, then i tried out the sojourn. a much better bike in my opinion. Stephen, thanks for your comments and comparison of the Surly Long Haul Trucker and the Raleigh Sojourn. Glad to hear that you are happy with the Sojourn! They are both great bikes, and either one will get you across the city or across the country in style. 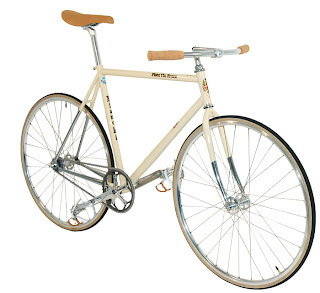 The Raleigh Sojourn is a great value for the money, since it comes with the rear rack and fenders (which most people end up adding onto the Long Haul Trucker), plus, as you mentioned, the Brooks saddle and leather bar tape. I think the saddle and bar tape look pretty sweet, but not everyone is into the leather saddle thing. The disc brakes are nice as well; not everyone needs them, but they do help to prevent wear (and even blowout) of your rims, especially if you're doing a lot of heavily-loaded touring on long mountain descents.